With the shock arrival of the sun and the ensuing Decent British SummerTM, I haven’t written a blog in a while, choosing instead to drink Pimms, hang bunting, build castles out of sand and enjoy other such fitting pursuits. 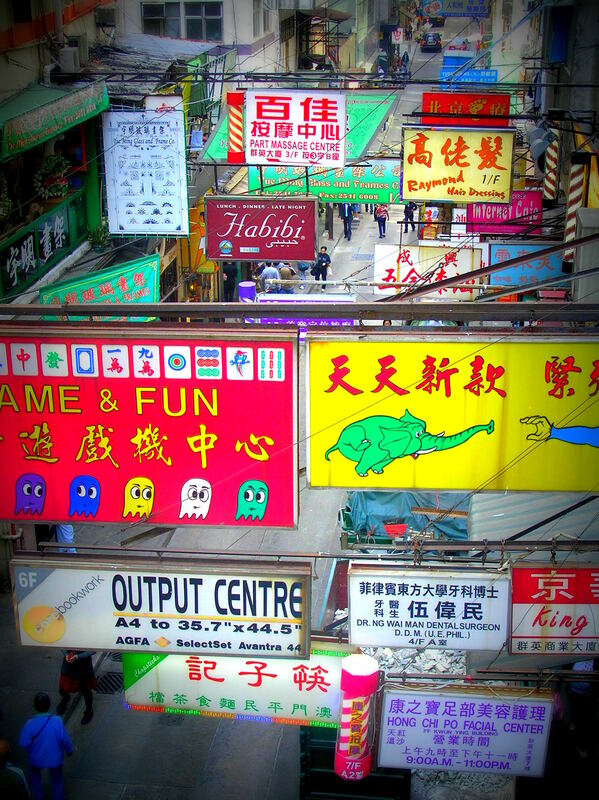 I’ve missed regaling you with stories of my travels though, so today I turned on my computer and dredged my brain for memories of Hong Kong. 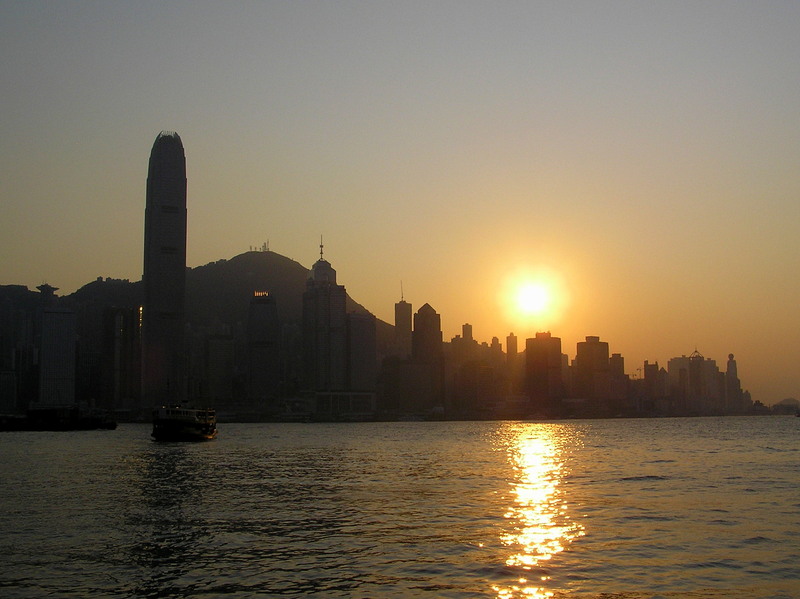 HK, or Xiānggǎng in Mandarin, means “fragrant harbour” – there you go: your first good factoid! It’s situated in the South China Sea and divided into three main areas: Kowloon Peninsula, Hong Kong Island and the New Territories. When I visited with my dad in 2008, we stayed in upper Kowloon and caught the metro and ferry back-and-forth to the island each day, which I think is the best way round to do it. I liked the city immediately – a blend of east-meets-west that calls to mind New York as much as it does any Asian capitals, probably more so. The city is a great place to wander around, though it’s crucial to make regular stops at street stalls selling dim sum, watch groups of elderly Chinese men play checkers, and take plenty of photos across the harbour. You can board a converted Routemaster bus-come-city-tram and travel through the streets, forever staring skyward at the incredibly tall buildings: the International Commerce Centre (ICC), HSBC headquarters, Central Plaza and the Bank of China being some of the tallest. The red buses are a fitting reminder of the city-state’s history, since – apart from a brief period under Japanese control – Hong Kong was, as you know, part of the British Empire from the mid-1800s until 1997. It adopted many features of the British education and judiciary systems and became a thriving capitalist economy. Now once again part of the People’s Republic of China (it is one of the two Special Administrative Regions, along with Macau), it has remained resolutely different from mainland China, both politically and culturally, and enjoys a great deal of autonomy. I’ve mentioned some of the skyscrapers. Hong Kong is one of the most densely populated places on earth, increasing in size under British rule from a population of 7,450 to nearly 6.5 million in ‘97. As a result, it is known for being the world’s most ‘vertical city’, covered as it is with over a thousand high-rise residential buildings, lofty hotels and soaring financial institutions. Despite this, it ranks as one of the top places to live in terms of life expectancy, IQ scores, quality of life and economic freedom. So, they’re clearly doing something right on their small patch of land! There is, however, plenty of traditional Chinese culture in which to immerse yourself and lots of interesting eastern touches. Feng sui is taken very seriously, with expert architects employed on major construction projects to ensure proper orientation and avoid bad luck. 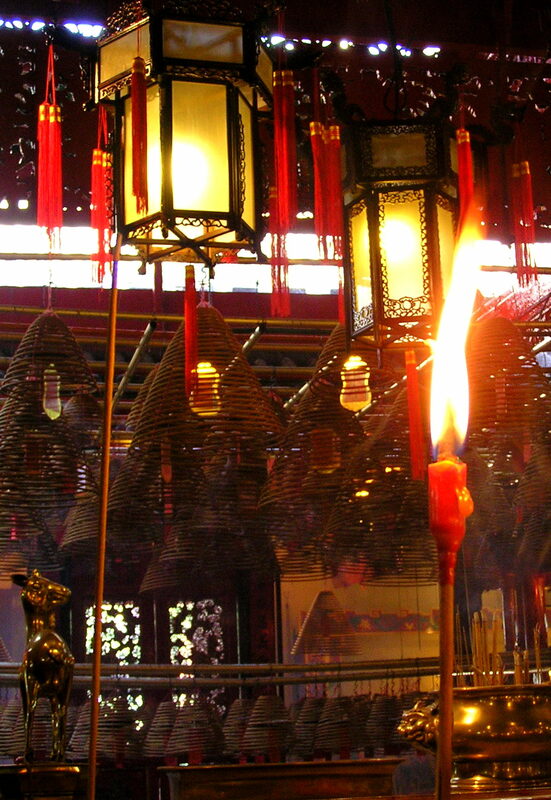 Ba gua mirrors are used to ward off evil spirits and the city is peppered with Tin Hau temples. 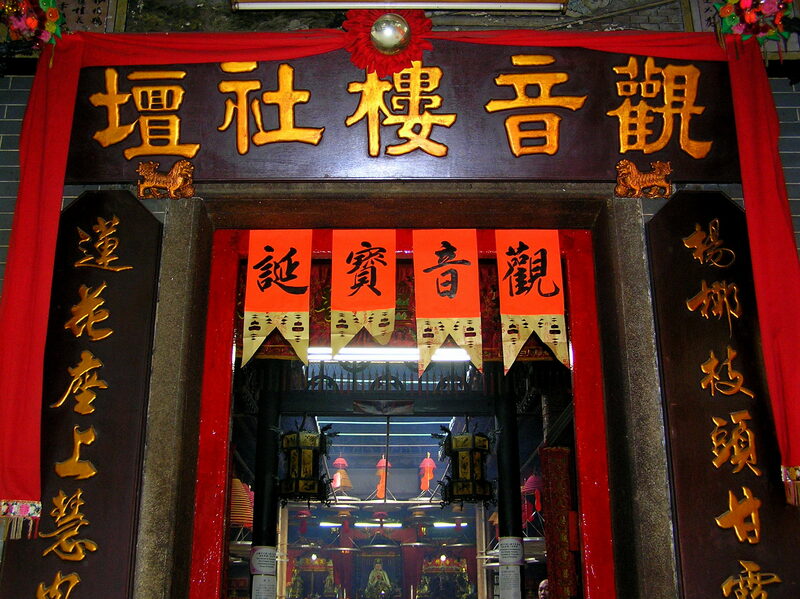 Tin Hau is the HK name for the Cantonese goddess Mazu, protector of fishermen. It makes sense that there’d be over sixty temples dedicated to her in a city with such strong connections to the sea. 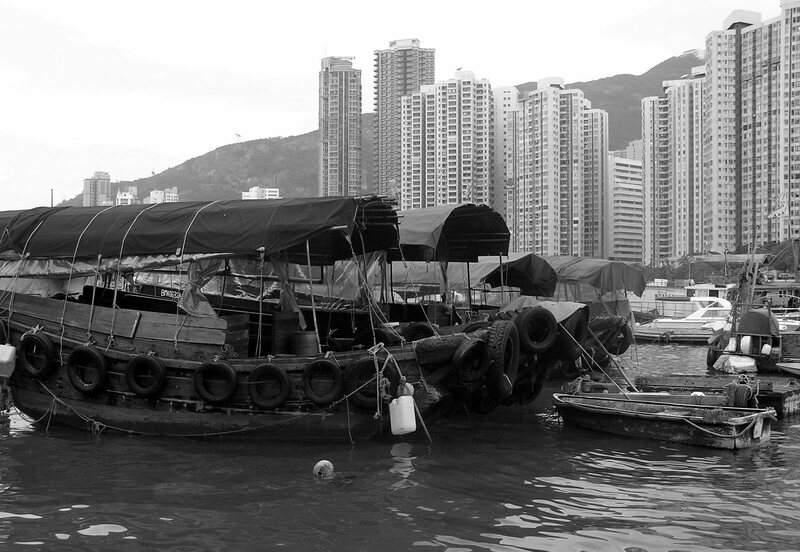 Further evidence of this affinity can be found down at Victoria Harbour, where impressive junk boats set sail regularly, though this is now mainly for the benefit of tourists. A climb to the top of Victoria Peak (well, I say climb…no actual walking is required, just an ascent up a series of escalators and a funicular) is well worth the trip. The views are spectacular and – again – serve to remind just how much is packed into the state’s 426 sq miles. I’d also recommend a trip to Aberdeen, with its floating village and houseboats of the Tanka people, and Stanley Bay on the south of the island. 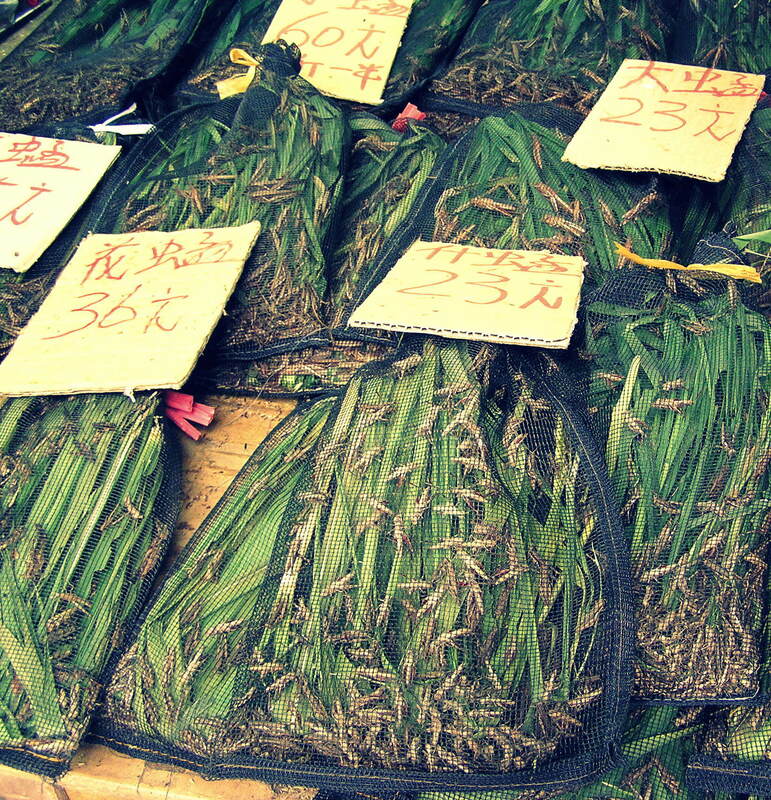 Finally, no visit would be complete without a trip through Kowloon’s markets. 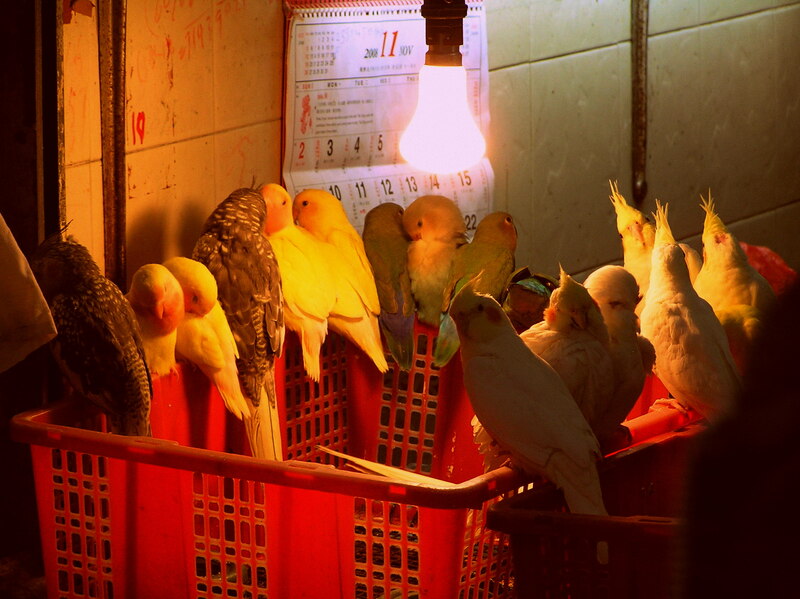 Bird markets, fish markets, clothes markets, flowers markets…the list goes on. The night markets are particularly fun, bustling with people trying to buy all manner of weird-and-wonderful produce alongside merchants flashing the latest technological gadgets. The bright neon signs heralding hot pot and noodles make it even more atmospheric. And then head down to the waterfront for ‘A Symphony of Lights’, the laser, pyrotechnic and multimedia show that kicks off at 8pm every night. 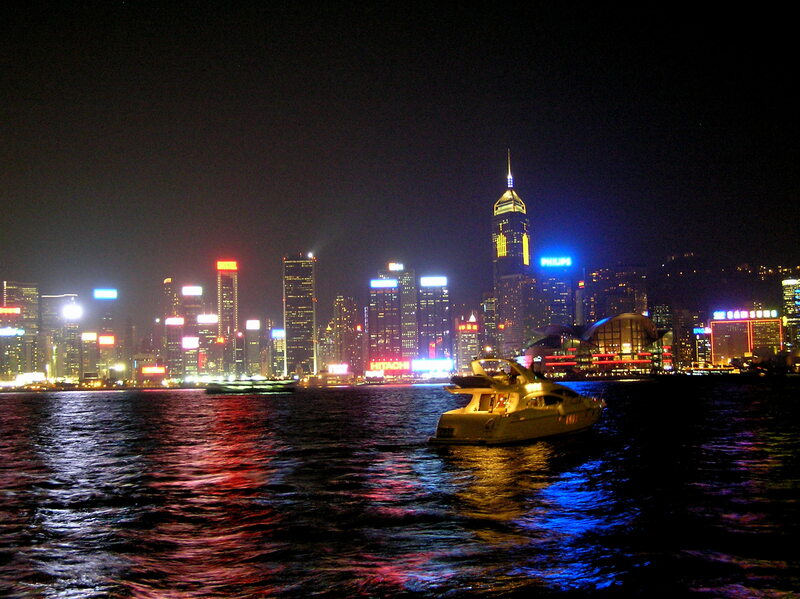 One of the best places to stand and watch is along the Avenue of Stars on Tsim Sha Tsui waterfront. Incidentally, you can get great seafood there too! 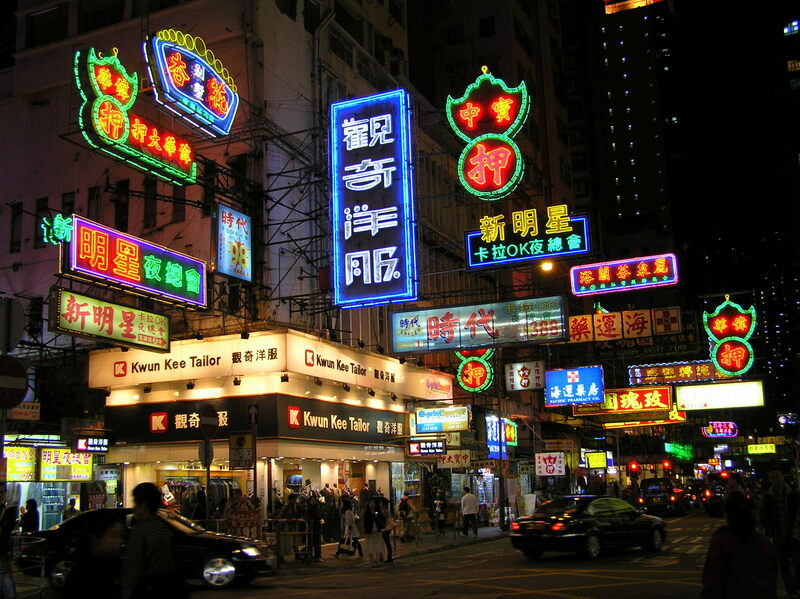 This entry was posted in Travel and tagged Hong Kong, Junk, Kowloon, New Territories, Tin Hau, Victoria Harbour on August 11, 2013 by victoriassecretblog.